Wearing suitable gloves, apply to damp hair after shampooing. Leave on for 3-5 minutes. Rinse thoroughly. In case of contact with eyes, rinse them immediately. Aqua/Water, Cetearyl Alcohol, Propylene Glycol, Maleic Acid, Ethanolamine, Behentrimonium Methosulfate, Parfum/Fragrance, Citric Acid, Phenoxyethanol, Stearamidopropy Dimethylamine, Glycerin, Hydroxyethylcellulose, Quaternium-91, Polyquaternium-37, Benzoic Acid, Paraffinum Liquidum/Mineral Oil/ Huile Minerale, Cetrimonium Chloride, Cetrimonium Methosulfate, Sodium Cocyl Amino Acids, Potassium Dimethicone Peg-7 Panthenyl Phosphate, Ppg-1 Trideceth-6, Sodium Sarcosinate, Acrylates Copolymer, Arginine, Hydrolyzed Soy Protein, Sorbitan Oleate, Ci 60730/ Acid Violet 43, Hydrolyzed Vegetable Protein Pg-Propyl Silanetriol, Sodium Chloride, Tetrasodim Edta, Potassium Sorbate (C216789/1). 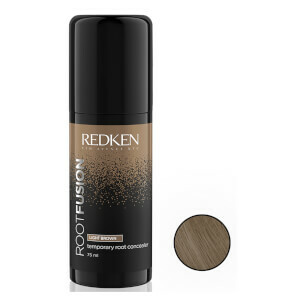 Save up to 30% on Redken. Discount has already been taken from the RRP, offer valid for a limited time only. Bought both shampoo and conditioner. These products are amazing. I have tried a lot of shampoo and conditioner from budget to high end and I have never tried anything that makes my hair look and feel so good. I never liked any other blonde enhancing shampoos out there as they made my hair so dry and flyaway so I was reluctant to try this, but because the reviews were so good and I was using redken So Soft for many years anyway which I liked but obviously it didn't have the properties to take the brass out of my coloured hair, and I am so glad I did. The colour and condition of my hair has improved dramatically and my hair styles much easier. Love it. 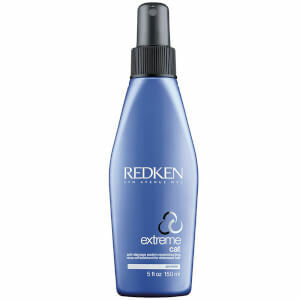 Redken - please do not ever discontinue! I bought this with the shampoo and have been very pleased with it. 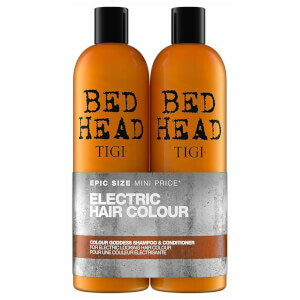 Unlike other colour conditioner's I have tried it leaves my hair in lovely condition. Thoroughly recommended. Good shampoo and toner 2 in 1. I use it once a week otherwise my blonde hair gets too blue. Bought the Redken Blondage shampoo & really liked the product so decided to purchase the conditioner to match & yes it suits my blonde hair. I used the shampoo and got great results used with this conditioner. My hair has no brassy yellow just a great ash blonde. This conditioner certainly leaves my hair soft too unlike some 'purple'conditioners. Great products-will use more Redken in future for sure. I'm not a natural blonde and I'm not blessed wit naturally thick hair either. I use clip in hair extensions which I wear every day. Its hard to keep the colour of my extensions and natural hair the same, My extensions usually go brassy where I don't get them dyed as much as my hair. 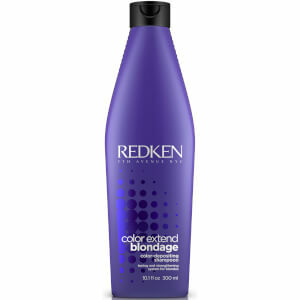 I have started using my Blondage on them as well as on my hair and its really helped to even out my blonde tone. Will keep using this product. Have tried loads of blonde shampoos both from the hairdressers and cheaper ones from boots. I always find them so drying on my hair. I was recommended Blondage by my hairdresser I was so shocked how soft my hair feels, I am used to getting the toning but not the softness. Super impressed! Will be buying again!